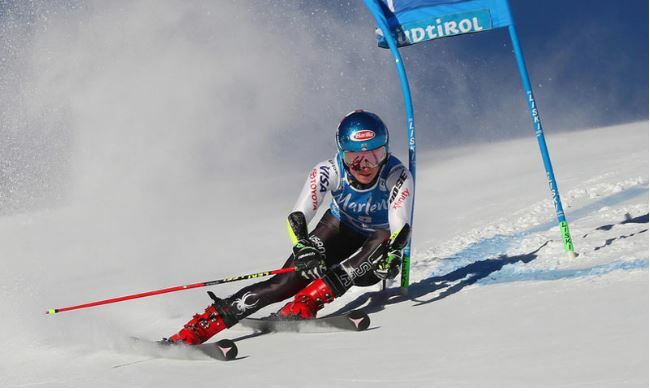 Mikaela Shiffrin continued her remarkable romp towards a third straight World Cup overall title with a 10th win of the season in a giant slalom in Italy. The 23-year old American superstar led by more than a second after the first run in Kronplatz and stayed clear to beat France’s Tessa Worley to clinch her 53rd World Cup win overall, CNN reports. Shiffrin has won eight of her last 11 races and 10 of her 17 starts this season to climb to within two victories of Swiss great Vreni Schneider in third on the women’s all-time list of World Cup winners. Earlier this season, Shiffrin set a new record for men and women of 15 wins in a calendar year, and is now within striking distance of achieving the most in a single season by a woman — Schneider won 14 races in 1988-89. Shiffrin is the runaway leader in the women’s season standings as she bids for a third straight World Cup overall crown, and is also targeting a third consecutive World Cup slalom title. The two-time Olympic gold medalist is locked in a virtual battle with Austrian great Marcel Hirscher, who is dominating the men’s slalom scene with nine wins this season to take him to 67 overall. Lindsey Vonn leads the women’s all-time list with 82 World Cup victories, but the start of her farewell season has been delayed by first injury and then the cancellation of last weekend’s speed races in St. Anton, Austria because of heavy snow. Vonn is second in the all-time list behind Sweden’s Ingemar Stenmark, who won 86 races between 1974-1989.